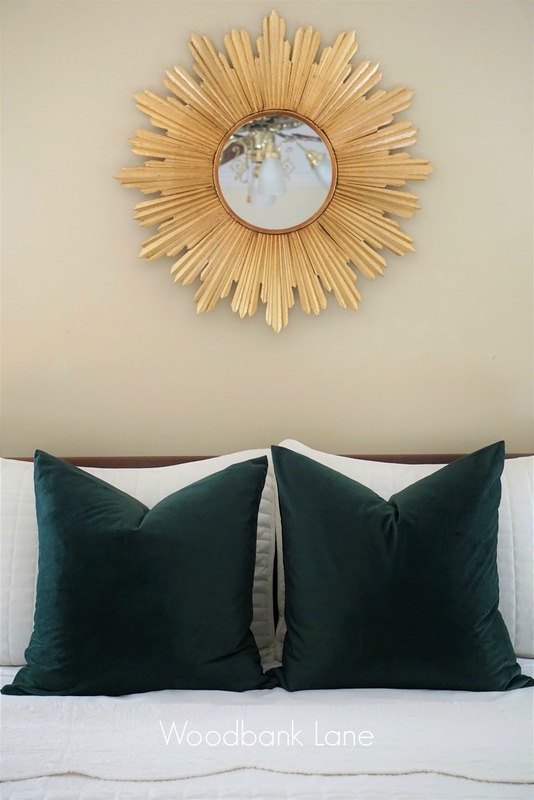 Woodbank Lane: VELVET PILLOWS FOR FALL - YES, PLEASE! VELVET PILLOWS FOR FALL - YES, PLEASE! This year, about the only fall decorating I've done has been in my dining room. But this picture from the Instagram account of Park and Oak Design made me rethink my bedroom in the smallest and best of ways--pillows. I loved the combination of the dark wood, the navy bed, and the white and gray wallpaper. 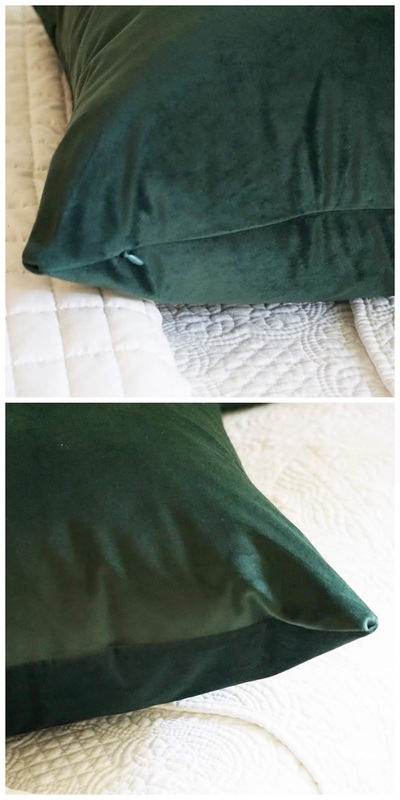 So I began the hunt for my own green velvet pillow covers. It's hard to photograph dark colors, but I tried. Hopefully you can get an idea of the quality. They are so soft and look great in person. The fit and finish is perfect, too. I already had two 20 x 20 pillows and just swapped out the covers for these when I was ready for fall. They come in a wide range of colors, and I'm thinking I could probably use some red ones for Christmas decorating as well. You can see all the color and size options here. Have you added any FALL to your home yet? small commission if you decide to order these pretty pillow covers, too.